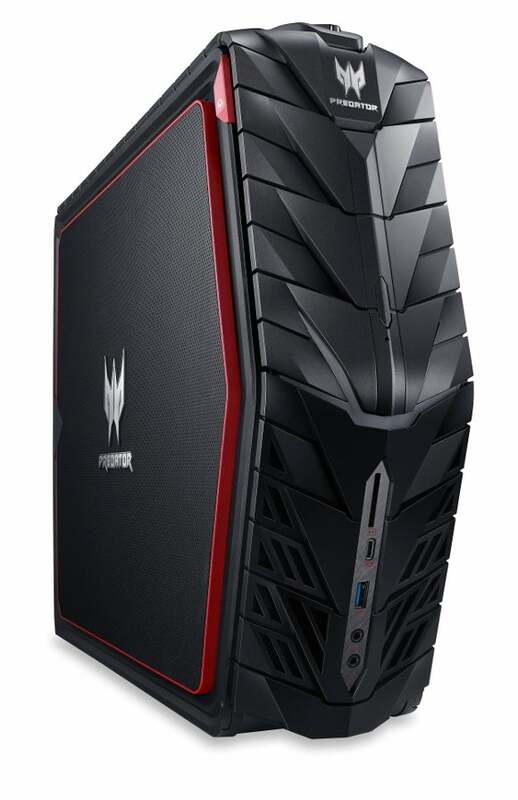 The Predator G1 gaming desktop is now available with the GeForce GTX 1080 instead of the originally announced Titan X.
Acer's pint-sized—well, 16 liters, really—Predator G1 gaming desktop is snagging a big-time update on the very day it rolls out. This morning, the Predator G1 launched on Newegg and Acer.com with prices starting at $2,300. 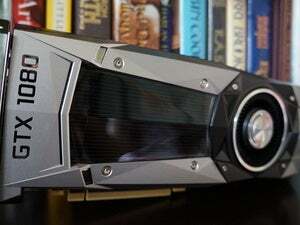 That includes Nvidia’s GeForce GTX 1080 graphics card, which is not the graphics option the computer was originally supposed to pack. 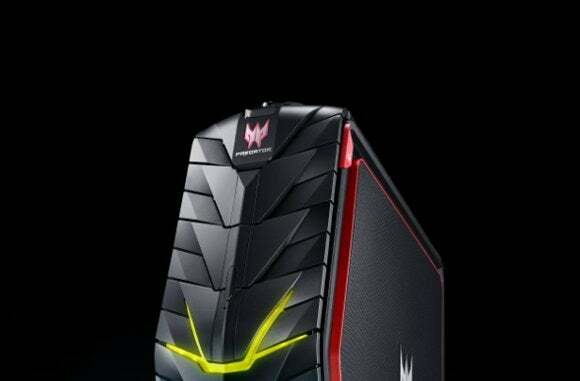 The new Predator G1-710-70001 desktop is a limited edition variant of the new gaming machine, Acer says. In addition to the aforementioned GTX 1080, it features a quad-core, 3.4GHz “Skylake” Core i7-6700 processor, 32GB of DDR4 RAM, and a dual-storage system that includes an unnamed 512GB solid state drive and a 7,200 RPM 2TB hard drive. Acer's also throwing in a few (minor) extras to go along with your shiny new desktop, which is where the limited edition part of this PC seems to come in. If you order now, the PC will come with a wheeled carrying case so you can easily cart it around to show virtual reality off to your friends, if you also buy an Oculus Rift or HTC Vive. It’s also a great way to drag your PC to LAN parties, if you’re still into that kind of thing. Acer's also offering a free copy of Tom Clancy’s The Division, a popular open world third-person shooter. Even if you order the PC today, however, deliver isn't expected until the end of the month. Aside from the big features, the desktop also comes with Thunderbolt 3, G-Sync support, PredatorSense system configuration software, and Killer DoubleShot Pro for prioritizing gaming packets over all other Internet traffic. Finally, Acer's tossing in a Predator Mouse and a Predator Flare mechanical keyboard as well. The impact on you at home: When Acer first announced the G1 back in April the top model was rocking Nvidia’s Titan X graphics card and a June debut date. It’s not clear why the G1 hasn’t rolled out yet, but a good guess would be that Acer wanted a little extra time to reconfigure its machines for the much cheaper, much faster GTX 10-series. The Titan X still rocks, but it costs more than $1,000 compared to the $600 to $700 that the new GTX 1080 sells for. 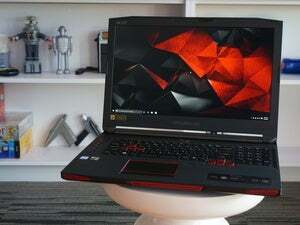 Now, Acer can roll out the G1 with the same starting price of $2,300, but with a whole lot more gaming firepower than you would’ve with the machine Acer announced in the spring.